I’ve just finished the Sydney Mind Body Spirit festival and had some wonderful clients come through. Boy I have a great job! Doing four days of readings in a row always brings new ideas into my head, and this expo was no different. Please keep in mind that your hands are constantly changing – all anyone can do is to read where you are at right now – think of your hands as a map showing you where you are in life and where you are heading.Also remember there’s no good or bad, only what brings you peace and what doesn’t. Some of us are here to be lone rangers and others are here to be cuddle-hogs! This shows that you will live near your family in your later years. 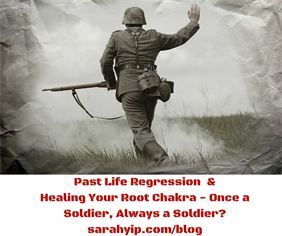 It also indicates you can relate to your ancestors…if your Life Line doesn’t reach this far look into your family tree or do a Family Constellation to heal any wounding around ‘receiving’ love from your parents. Read more on forgiving your family. If we are still angry at our folks it can be challenging to have kids because we are so worried about repeating the ‘mistakes’ of the past. Consider this a wakeup call to escape your mental jail cell. An incomplete Life Line may suggest lower back pain, difficulties finishing things and ‘letting them go’ (digestion-wise or emotionally) and a reduced desire for children or commitment unless you have plenty of support. It reflects a sensitive Root Chakra and can be healed through self-care, exercise, grounding and other energetic therapies. These measures may or may not change your palmistry lines, but they will certainly boost your mojo. This ring shows your communication with family throughout your life, it starts at the top of your thumb (near your fingers) and encircles the base of your thumb. A chain that is heavily marked the whole way shows closeness with family all your life. A chain that fades out or breaks towards the bottom shows you will pull away from family in later years, perhaps you live away from your children etc. A chain that is faded in the beginning but then strengthens shows you grow closer to your family over time. This formation shows your early opinions were influenced by your family, so throughout your life you tend to consider the impacts of your actions on other people (making it less likely you will choose a radical profession like being a circus acrobat or racing car driver…at least while your parents are around to talk you out of it! The forefinger is thought to indicate the amount of energy your parents poured into you as a child, as well as the amount of ‘air’ or intellect you showed when young.It is usually longer on women (especially first born daughters) and may correlate with high oestrogen levels, skin allergies, and menstrual issues if very long (based on my anecdotal observations). Your Venus mount (the pad or ball of your thumb) shows your love of life and I like to see some padding here to indicate you have enough energy to pour into family life and socialising. Your Luna mount (the pad on the far side of the hand, opposite the Venus mount) shows your love of creative projects and hobbies. I find that it also reflects how sentimental you are and how connected you are with your feminine side/ mother. Some plumpness here is good as can indicate a love of spending time relaxing with family, especially cooking and making things together.So there are my tips for finding family closeness in your hands. Wishing you a healing journey ahead.